Much tighter knit stitches along the tear drops! I’m quickly falling in love. *swoon* I have so little to say these days, I feel terrible. I blame it on summer vacation and the fact that I don’t use a lot of brain cells this time of year. Plus, it’s TX and it’s been 5 bazillion degrees since January. Heat+summer vacation = fried. Can I take a moment and vent about incompetent office managers? I’ve never worked on a project that dropped a stitch, at least not purposely. 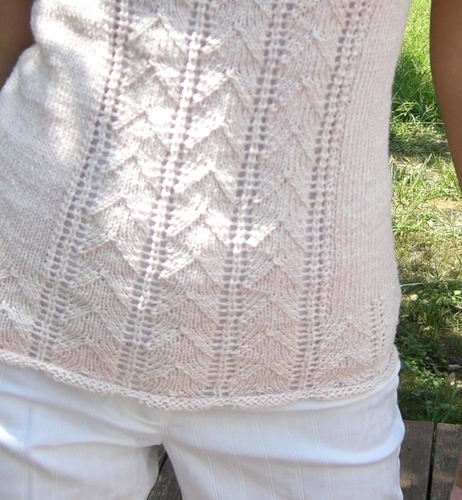 I started the Drop Stitch Lace Tank from Fitted Knits this weekend. The pattern is incredibly easy to memorize and over at the KAL someone wrote up a pattern for knitting in the round! Because of extenuating circumstances(Kill Bill Volume 1 and 2) I miscounted my rows and my tear drops are all different sizes. 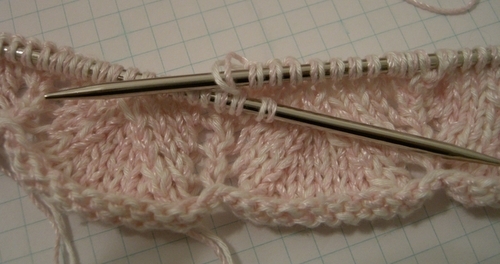 I also just picked and chose which knit stitches to ktbl and it makes a huge difference because some stitches are extremely loose while others are nice and tight. I was a tad worried about the size. I know the pattern note says it is extremely stretchy so go down in size at least 6″ but goodness… I didn’t realize it was going to be so tiny but before frogging I had a chance to try it on and it actually fits perfectly, so I’m definitely on the right track. Darn that Quentin Tarantino for being so interesting! Surprisingly I felt no pain whilst frogging Sahara. I promise, no balls of yarn were injured for this picture and they will be used for only good! I plan to use it for the Drop Stitch Lace Tank from Fitted Knits! My son finished basketball camp today. This is his second year and he loves it! It’s a great camp, and all the people who work there are awesome. Anyway they had an awards ceremony today and my kiddo won several awards! First place for around the world in his division. He’s nine and there were about 40 kids in his division alone. 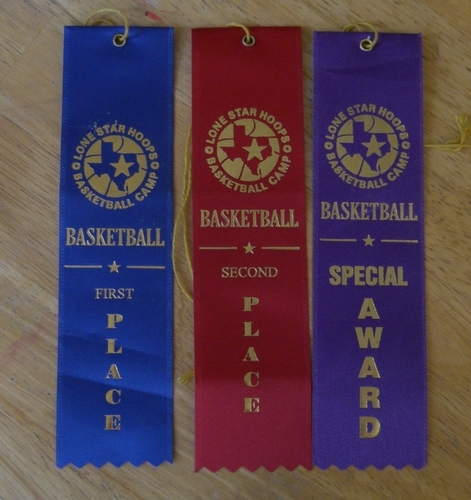 Through out the week they do drills and then tally up scores and he won second place in the lay up drills! At the end of the ceremony they always give out the “major” awards, like best team spirit, MVP, best offensive, best defensive, most improved – things like that. These categories are voted on by the coaches and usually they pick one or two out of the entire camp as finalists and out of the finalists they pick the one they think deserves the trophy. My son was a finalist in the defensive category, in fact he was the only finalist. The trophy went to an older middle school boy. We are so proud of him! I am so stressed/depressed/insane right now. I need some stability and my mood is totally affecting my knitting. I just can’t get it up for anything. I did start Fad Classic the other day. It seems easy enough but I have yet to complete a Wendy Bernard pattern to date so I’m not holding out much hope I’ll finish this one. My inability to actually finish any of her stuff has nothing to do with her or her patterns. I started Sizzle but was really disappointed by my yarn choice I just didn’t have the heart to finish and we all know my issues with Sahara. The color is a deep reddish color, it’s very beautiful and I tend to look good in reds. HATE IT! Really really HATE IT! 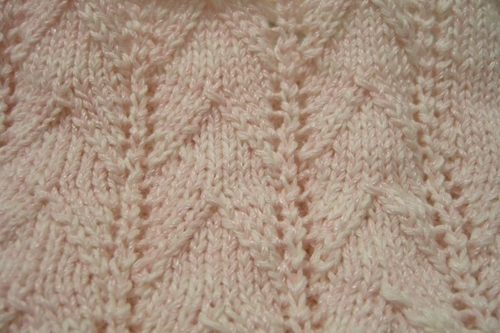 To cheer myself up, I am going to cast on for the lacy skirt with bows from Greetings from Knit Cafe. Yeah… that’ll make me happy! Modifications: I wanted to wear this top as a camisole and the original pattern calls for a very deep back. I added height to my back, but because of that I also had to adjust the armhole bind offs and top shaping. The straps are done in stockinette stitch instead of and i-cord and are kitchener stitched together instead of the tie and bow method in the original. It’s a lovely shirt and can be used as both a nightie or a top! Had I to do it over again I’d make further adjustments to the straps(what is with me and straps?) I’d also adjust the front to have more shape instead of the straight across line which really isn’t that flattering. I am at the point where I need to decide whether or not I want more or less back. On one hand if I have more back I can wear the lace nightie with a shirt underneath as a camisole. On the other, if I have less back it will be a lot sexier and truly more of a nightie, which upon further thought, I’m not sure why it’s even called a nightie, it’s definitely more of a camisole because it isn’t long enough. Not funny “haha.” Funny as in “slaps forehead.” Ok, it’s not really funny at all. 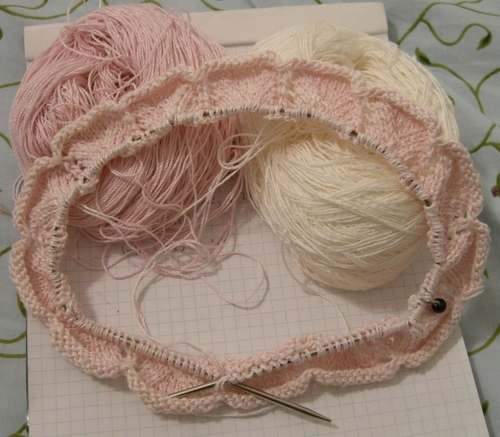 I restarted the neckline to Sahara because the first time I didn’t know what I was doing. Well Wendy emailed me and explained and I totally “got” it, except I didn’t read the directions really close and I completely messed up – AGAIN. I QUIT! To console myself, I started the lace nightie from Interweave. I had a lot of Contessa left over so I’m using her in conjunction with Mina Dina, both yarns are from Silk City, although the Contessa is discontinued. Sahara and I. Do you ever just hit a certain point with a pattern that you just can’t overcome? You try and you try but it never comes, that boost, that feeling of really wanting to finish? She’s a very lovely shirt but I’m just not feeling her. I totally intend to finish her, just not now, she’s gotten on my nerves one too many times and I need a break. Instead, I think I’ll cast on for this little number. I’m wondering how cute it’d be as a dress, or a long nightie, or maybe just wear it as a camisole? The summer Knitty came out and I am adding this to my list! They are absolutely adorable. Since I don’t know what I’m doing, I’ve put Sahara on hold until Wendy emails me about what the hell the neckline is all about. I am clueless, which embarrasses me…. I should know.